I’ll do the calculations for all you non-mathematicians out there: I was in high school for our first Valentine’s Day celebration. What the what?! Nine years ago, neither of us could have fathomed getting married to each other. So, take a trip with me down memory lane, if you will. 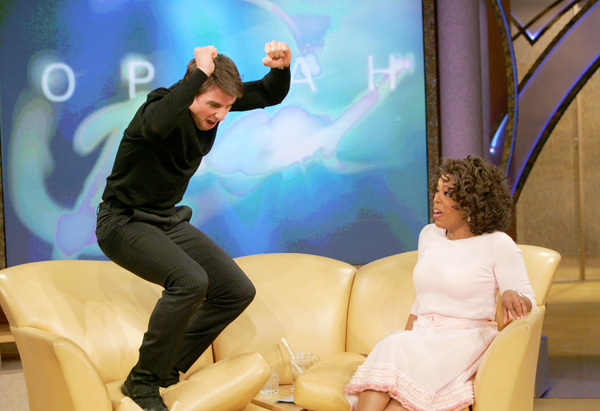 Let’s go back to 2005, the year Tom Cruise was jumping on Oprah’s couch, declaring his undying love for Katie Holmes. Slightly neurotic girls like me remember what they were wearing during life’s greatest moments. On February 14, 2005, I was a junior in high school with an affinity for Hollister and American Eagle. I was devoted to The O.C. and Dashboard Confessional, and was gearing up for another summer of working on my tan lifeguarding. No one without an approved college and .edu email address was allowed on Facebook. I had a Xanga. It was another world, people. Another world. I also had a pretty cute (and new!) boyfriend. His name was Jonny Craig and we were frenemies, but somehow I couldn’t resist his boyish good looks and ridiculous charm. I met his family over Christmas and we were officially, like, going out. Call it Cupid’s arrow, call it fate, call it being an overly emotional 17-year-old girl, but I was feeling pretty smitten. 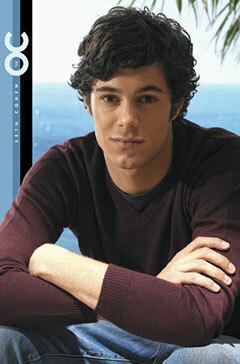 Jonny was actually beginning to rival my affections for SETH COHEN. That’s saying something. Jonny picked me up for our Valentine’s Day date in his rusty red Ford truck that my dad wouldn’t let park in the drive way because it leaked oil. Since I was a teenage girl, and this was my first time having a real boyfriend on Valentine’s Day, my expectations were pretty much unattainable. I dreamed of everything being perfect. I wore a pink sweater I bought in Kansas City with my Christmas money and felt pretty good about my brown pants with pink pinstripes. (Brown pants were cool, I swear.) 1,500 squirts of Sweet Pea body spray left me smelling like Bath & Body Works on crack, and I loved it. I felt like the Romantic Comedy heavens were opening up and I was finally playing the leading lady. Move over, Kate Hudson. This was my time. Our date? Catching a movie (on a school night!). Our pick? Hitch. At the end of the night, Jonny’s decrepit F150 clunked and chugged into my parent’s driveway. (Sorry, Dad!) It was time for the exchange of gifts! Jonny sheepishly handed me a folded piece of notebook paper, along with a burned CD. (Emo!) And I proudly presented him with my over-the-top card and equally over-the-top candy. I unfolded his letter, which looked like it had first been written in pencil and then traced over in pen. (Aw.) Paraphrase of the valetine: I was amazing, beautiful, funny, smart, kind, and pretty much all-around-perfect. Music to my teenage ears. At at the end of the note, it said that I had to listen to the CD. There was just one song on it, but it said everything that he felt, everything he wished he could write. It’s a little bit funny, this feeling inside. I’m not one of those who can easily hide. I don’t have much money, but boy if I did, I’d buy a big house where we both could live. If I was a sculptor, but then again, no. Or a man who makes potions in a traveling show. I know it’s not much, but it’s the best I can do. My gift is my song, and this one’s for you. And you can tell everybody this is your song. It may be quite simple, but now that it’s done I hope you don’t mind, I hope you don’t mind that I put down in words…How wonderful life is while you’re in the world. I sat on the roof and kicked off the moss. Well, a few of the verses, well, they’ve got me quite cross. But the sun’s been quite kind, while I wrote this song. It’s for people like you that keep it turned on. So excuse me forgetting, but these things I do. You see I’ve forgotten if they’re green or they’re blue. Anyway, the thing is, what I really mean… Yours are the sweetest eyes I’ve ever seen. And you can tell everybody this is your song. It may be quite simple, but now that it’s done, I hope you don’t mind, I hope you don’t mind that I put down in words…How wonderful life is while you’re in the world. I hope you don’t mind, I hope you don’t mind that I put down in words…How wonderful life is while you’re in the world. My initial thought: Um, how do you not know that I have green eyes?! But seriously, it was perfect. I listened to that CD on repeat in my ’94 Dodge Shadow for longer than I care to admit. I imagined Jonny writing those lyrics. I analyzed and over-analyzed every verse, every word. I couldn’t get enough. He had listened the song and thought of me, and now I listened to it and thought of him thinking of me. (Yes, it was a pretty big blow when I discovered the world didn’t revolve around me.) Anyway, he didn’t get me a fancy necklace or dozens of roses or giant teddy bears, but the gift was perfect. And you know what? He specifically didn’t write love anywhere in his letter, either. I think we both new we had something that was in the very early stages of being something very special. We didn’t want to ruin it. And this morning, as I stumbled into the kitchen to make oatmeal for our two-year-old, my hair crazy and my glasses crooked, I found myself remembering our first Valentine’s Day. I remembered all of my primping and pampering for our date, and I felt sad. I was literally barefoot and pregnant in the kitchen, and looking and feeling like a hot mess express. In my preggo-emo state, I almost got myself worked into tears. I used to be cute! Now Jonny has to deal with a wife who looks like a Troll doll in the morning. 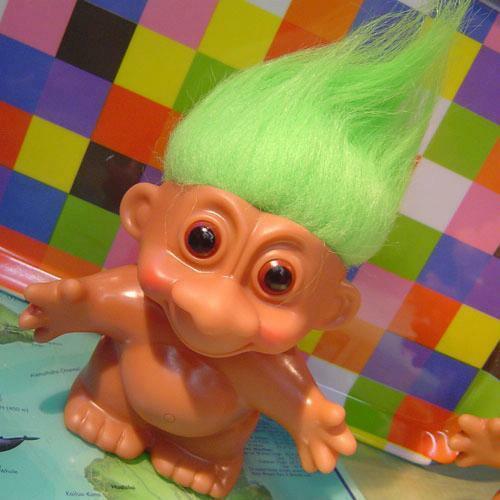 Seriously — my baby bump + hair that our toddler rubbed Vaseline in the night before= Troll doll Kayla. And then, Jonny came home from his morning meeting, with heart-shaped pudding donuts, just for me. Be still, my pregnant heart. Yeah, I love that guy.